Where do you put important notes to yourself or others in your home? They can easily be ignored when they are placed on a table or even taped to the door…but almost everyone can remember to turn out the lights when leaving the home, right? That is the thought behind Studio Ninho’s Luminaria Post lamp. 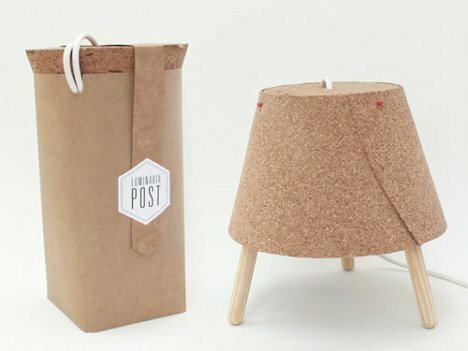 The lamp features a shade made of cork, allowing notes to be pinned to it. 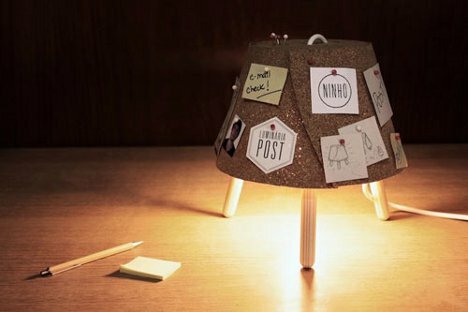 The concept is sort of genius: most of us (particularly those of us who are in charge of paying the electric bills) are used to shutting off the lights before we leave, and the design of this lamp basically forces one to see the notes pinned to it when shutting off the light. The lamp comes in a very small package, in pieces that are extremely easy to fit together. 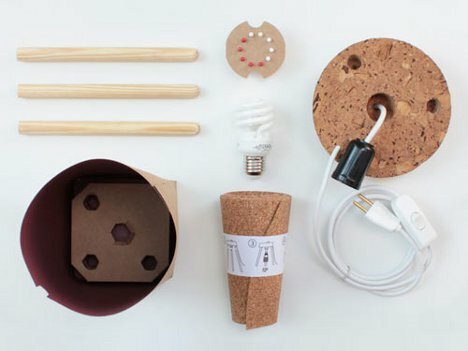 The actual assembly of the lamp takes no more than a few minutes as it involves attaching the legs, screwing in the light bulb and pinning the cork shade to the cork piece housing the wires. 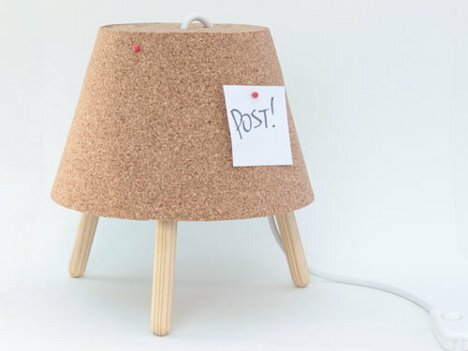 As if the simple lamp isn’t gorgeous enough on its own, the pins create tiny holes in the cork every time a memo goes up. These holes make a unique pattern in the cork for the light to shine through. Eventually, the light thrown from the Illuminaria Post lamp must look like the light from a star projector.